When most people consider their office vending machines, not many take the time to think about the other refreshment services available. These other refreshment services consist of office coffee and water filtration. Last year the average American used 167 water bottles but only recycled 38. 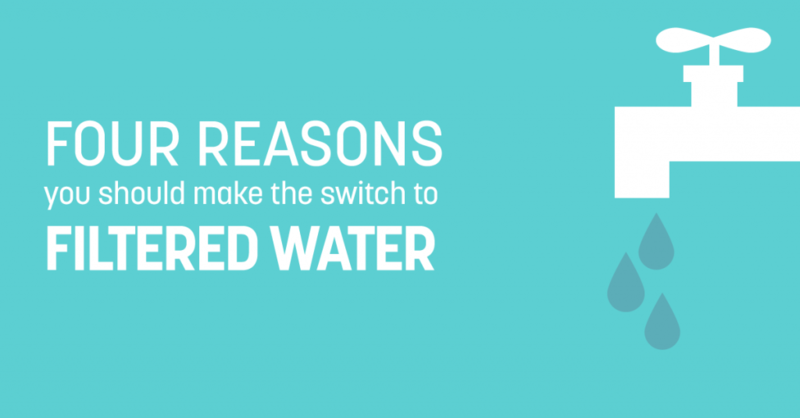 Help cut down on waste by considering the switch to a filtered water program for your employees. Consider making the switch to help improve your employees health. Access to filtered water, both hot and cold, can play a key role in increasing the amount of water consumed by your employees. Substituting water for high calorie beverages can play an important role in weight loss which in turn can decrease health issues and be a cost saving factor for your company. Get into the spirit by creating a burst your thirst challenge where the person that drinks the most water over a period of time can win a prize. It might sound crazy to think that water consumption and productivity can go hand in hand, but research has found that dehydration can be linked to cognitive changes which can result in less productivity. So the next time you feel that 2 o’clock slump coming along, grab a glass of filtered water and see if you can feel a difference. No seriously, it doesn’t cost that much to add filtered water to your company. In fact most employers would reap the benefits of adding filtered water just by seeing an increase in productivity around the office. The recommended eight glasses of water a day can result in Americans spending roughly $1,400 on bottled water. Not quite convinced? Contact us and we’d be happy to run the numbers based on your location and size. We can also ensure you’re getting the most out of your office coffee system and vending as well, both can play an important part in your office productivity and employee happiness. One of the biggest benefits is the service your company would be doing to the environment. By switching to a filtered water solution, your company could help decrease the amount of water bottles that fill up landfills. Not only do plastic bottles take anywhere from 450 – 1000 years to decompose naturally but if they are incinerated, they can produce toxic fumes which are harmful to the environment. Encourage your employees to make the switch to filtered water and better yet, provide water bottles branded with your company logo. Show your employees you care about the environment and their well-being by making the switch today. Not only can filtered water be great for those looking to cut back on their calorie intake, but it can help benefit your office coffee system as well. This entry was posted in Beverages, Vending Management and tagged coffee vending, filtration, Food, healthy snacks, marketing, micro market, national vending, office refreshments, office vending services, office water, soda, vending, vending industry, vending machine, vending machine companies, vending machine management, vending management, vending network, vending news, vending services, vending solutions, vending technology, water, Water Filtration, Women's Business Enterprise, World Water Day by National Vending. Bookmark the permalink.